Miller's Lodge is a stone-built former hay barn set in the gorgeous Looe Valley in East Cornwall. With spacious accommodation and the wonders of Cornwall close at hand, it is a splendid place for a romantic break away from it all. The ground floor is occupied by a refreshing open-plan living room, where you can take a seat on the snug sofa with the warmth of the electric fire and a favourite film on the TV. The kitchen area is amply equipped and finished with splendid wooden units to give off a real sense of charm and style. Retire to the first floor at the end of each day, complete with a double bed and charming features to ensure a peaceful spot to get your well-earned rest. A lovely shower room completes the interior of Miller's Lodge. Make the most of the excellent private patio to the back of the property; perhaps enjoy an alfresco meal among the fresh countryside air. For a fine selection of amenities, the market town of Liskeard is just three miles away which also hosts its own museum. The coastal town of Looe is certainly worth a day trip as it offers a glorious beach, amusement arcade and much more. 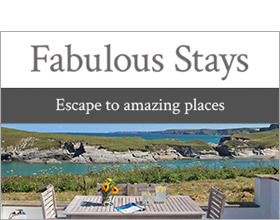 A superbly located cottage for exploring East Cornwall. One double bedroom. Shower room with shower, basin and WC. Open plan living area with kitchen, dining area and sitting area with electric flame-effect fire and sofa bed. Liskeard 3 miles; Looe 5 miles. The sleepy village of St Keyne nestles above the main valley leading down to the coast at Looe. Renowned for its rolling meadows and wooded valleys, the region is a haven for nature and wildlife lovers. The nearby south coast is the area's main attraction, offering lovely sandy beaches and coastal walks, while the working fishing ports of Looe, Fowey and Polperro are within a short drive. With impressive country houses and gardens nearby, the delightful cathedral city of Truro just a short drive away and the Eden Project, Heligan Gardens, the north coast resorts of Padstow and Port Isacc within driving distance, makes this is an ideal location for a relaxing break in picturesque surroundings.